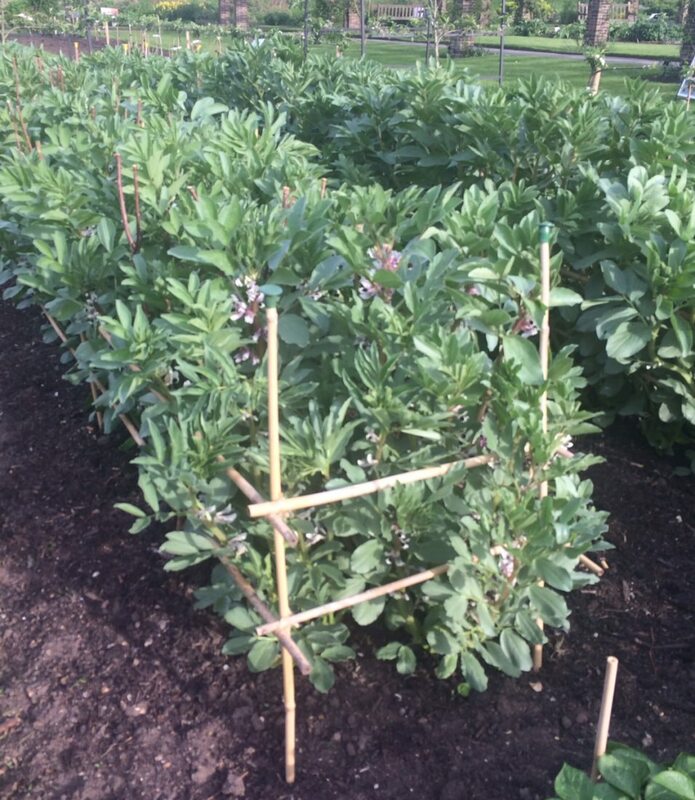 I visited the kitchen gardens at Kew Gardens at the weekend and was impressed with the way the supported their beans and peas and thought I’d share them with you. The Broad Beans were planted quite close together and had a framework around them with twigs stuck into the ground within the framework. 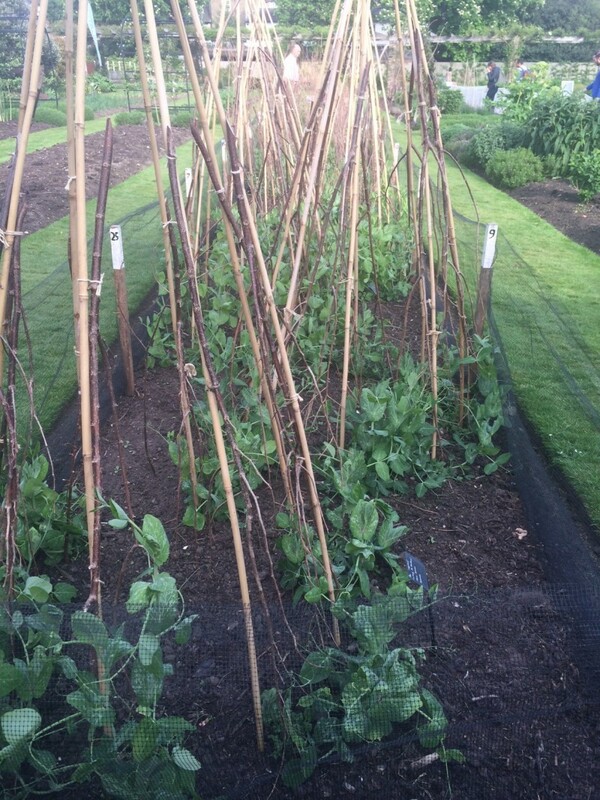 The climbing peas had pea sticks tied – upside down – to a wigwam. Next PostNext Fantastic Open Day!